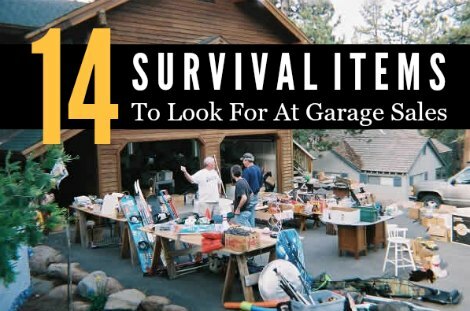 The best place to find a lot of awesome items and deals is at a garage sale. Most people are often selling items they no longer need or use. This means you have the opportunity to find various survival items to have on hand for an emergency. One thing about garage sales is that you’re often able to pick up items for cheap price. This is because people typically do not know the value or may not know what an item may actually be. If you know what to look for, then the best survival items will be yours for the taking. All you need to do is know which survival items you need. A list is the best option as you can refer to it when you go from sale to sale. You might also think of other items that may be beneficial to have if there is any type of disaster in your area.